Ray Stevens is one of the most popular novelty artists of all time. He has enjoyed a remarkably long career with an astonishing long span of charting singles and major hits stretching four decades. However, his sheer craziness translated across generations, not to mention countless special TV offers and many other musical compilations. A skilled singer and producer, Stevens also performed straight country and pop, scoring occasional hit. This time, you can watch Ray Stevens perform some of his hit songs at the Andy Williams Moon River Theater in Branson. Stevens’ appearance in one of Branson shows named Andy Williams’ variety show at the Moon River Theater led to his signing with the singer’s Barnaby label in 1970. At that time, he had a hit immediately with a straight pop song, “Everything is Beautiful”. This relentlessly cherry song was an enormous hit, and climbed to number one on the pop charts and winning Stevens a Grammy. 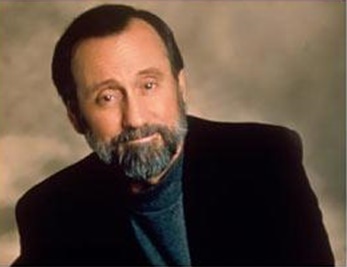 Ray Stevens is Harold Ray Ragsdale in real life who was born on January 24, 1939 in Clarkdale, GA where he started to learn playing piano at age six and later formed a band at age 15 called The Barons. The young Stevens moved to Atlanta when he turned 17 and worked with radioman Bill Lowery’s music publishing company where one of his songs, “Silver Bracelet,” got him a shot at recording for Capital subsidiary Prep. After joining Mercury Records, he recorded several more novelty singles including “Ahab the Arab,” that was released in early 1962. That song was a smash hit, reaching the Top Five on the pop charts. That time he then concentrated more on learning many things in the studio – working with artists like Brenda Lee, Brook Benton, and Patti Page, and sometimes singing with the Jordanaires. Stevens also played with Elvis Presley on the sessions for the “Fun in Acapulco” soundtrack in 1963. As producer and arranger, Stevens has also worked with the then young Dolly Parton. Over the next few years, Stevens recorded songs like “The Mississippi Squirrel Revival,” “It’s Me Again, Margaret,” “I Saw Elvis in a U.F.O.,” “The Haircut Song,” and “Squirrel,” all in the country Top 20, and they became signature songs. His song, “He Thinks He’s Ray Stevens” has reached number three on the country charts, and the follow up in 1986, “I Have Returned,” also hit number one. Both went Gold. Ray Stevens’ limited performance at the Moon River Theater in Branson can be considered as one of the most fascinating Branson shows to watch.